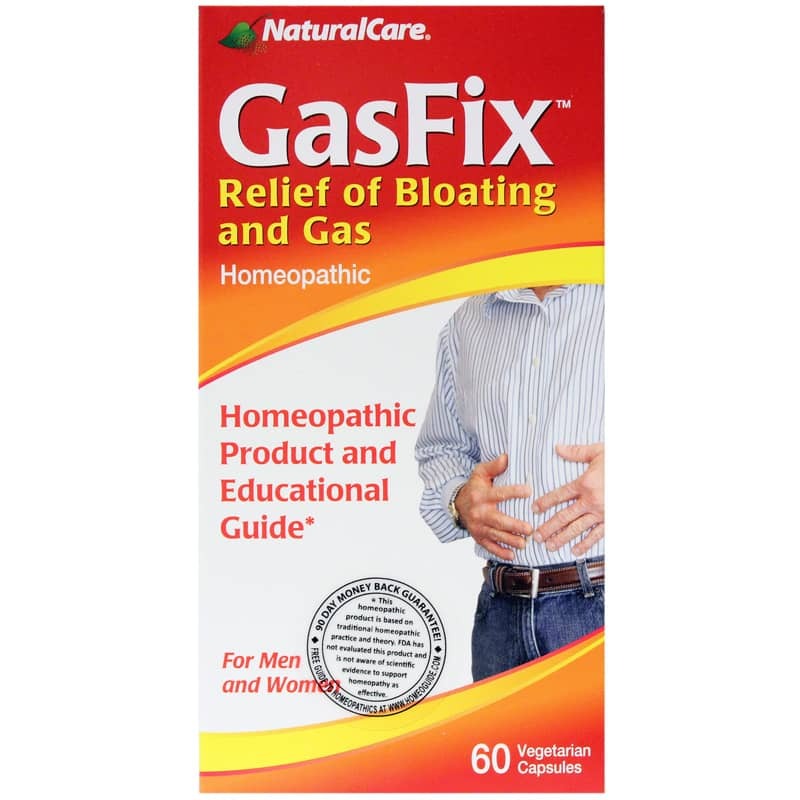 In addition to the homeopathic dilutions that target these specific symptoms, GasFix contains Activated Charcoal (Carbo Vegetabilis) which supports relieving gas and bloating*. Other Ingredients: Carbon (Activated Charcoal), Vegetable cellulose capsule, and Microcrystalline cellulose. 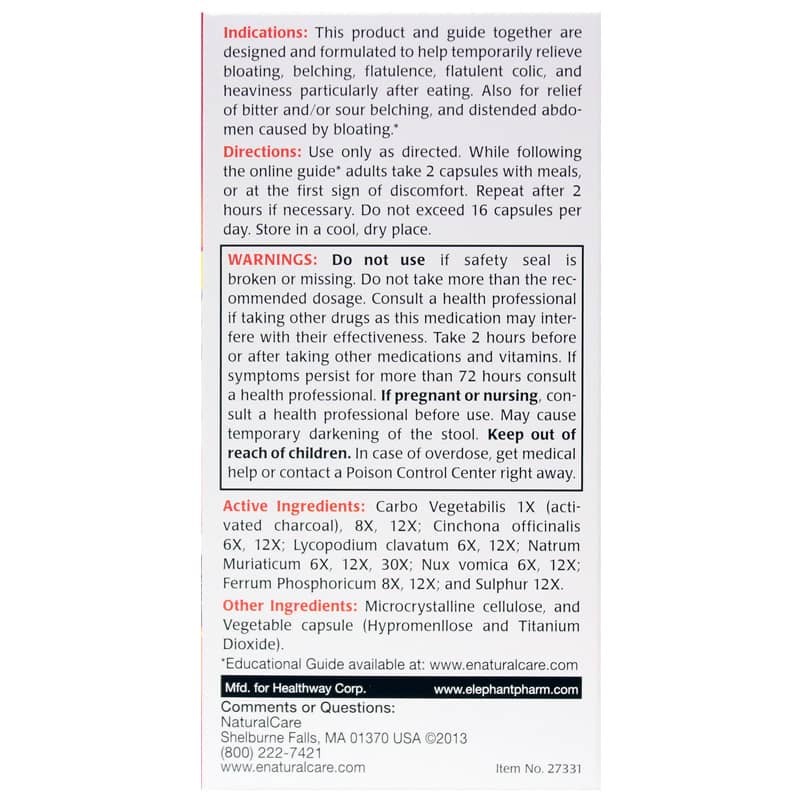 Adults: Take 2 capsules with meals, or at the first sign of discomfort. Repeat after 2 hours if necessary. Do not exceed 16 capsules per day. Consult a healthcare practitioner if taking other drugs as this medication may interfere with their effectiveness. Take 2 hours before or after taking other medications and vitamins. If symptoms persist for more than 72 hours, consult a healthcare practitioner. If you are pregnant or nursing, please consult your healthcare professional before using this product. May cause darkening of the stool. Keep out of the reach of children. In case of overdose, get medical help or contact a Poison Control Center right away.